Bringing People together to move your company Faster! Technology is becoming more and more part of the way we do business, however there are still a lot of companies holding on to legacy technologies that are holding them back. At least 70% of forward thinking companies in Forbes Cloud top 100 (2017) are active G Suite customers. 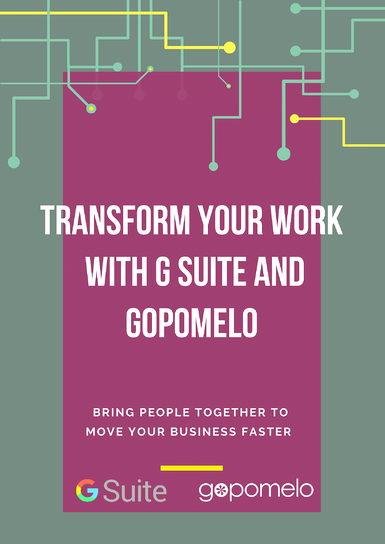 Get your free copy today and see how G Suite and GoPomelo can help you move faster!